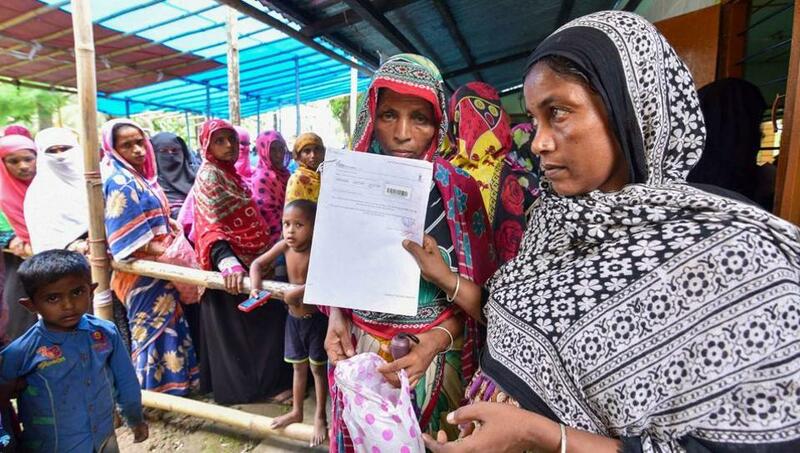 As many as 40 lakh people have been dropped from the “final” list of the National Register of Citizens (NRC) in Assam. Finally, 2.9 crore people have found their name in the list as bonafide Indian citizens. The NRC, fast-tracked by the current BJP-led regime, has been working under the supervision of the Supreme Court with a nodal IAS officer, Prateek Hajela, working as a state coordinator. In the first list, 1.9 crore of 3.3 crore applicants were found to be citizens. Earlier, 1.25 lakh were officially declared as (Doubtful) D-Voters. The final draft was supposed to be released on June 30, 2018, but was not released due to floods, said the authorities. This is the second draft. Unofficial sources had earlier estimated that at least 35 lakh people will be directly affected. Ground reports have clearly suggested that mostly those who are affected are religious and linguistic minorities, especially Bengali-speaking Hindus and Muslims. Hajela has, ironically, declared that it will not be publicly disclosed as to how 40 lakh individuals have lost their citizenship. It will be disclosed individually. 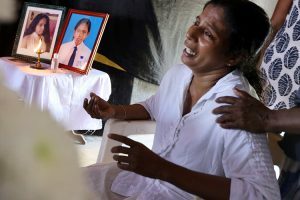 The NRC and the state government, led by the BJP-AGP alliance, including the Union Home Ministry, is on record that this is not the “final” report, that it is only a “draft” and not the final list, that none of the persons removed from the NRC list will be harassed or hounded, and that they will be given another chance to prove their bonafide citizenship as an Indian. Huge para-military forces have been deployed and Assam Chief Minister Sarbananda Sonowal has appealed for peace. Two MLAs, among scores of others, including those who were earlier declared citizens, have found their names eliminated, according to reports. Opposition parties have disrupted the Rajya Sabha, and both Mamata Banerjee, Chief Minister of Bengal, and the Congress has said that this is nothing but an attempt to polarise the state, to deny legitimate citizens their rights as Indian citizens, and to create mass phobia. Former Chief Minister Tarun Gogoi had earlier challenged Narendra Modi to fulfill his election hyperbole of deporting each and every Bangladeshi. He had said if bonafide Indians or innocent people are hounded, there will be mass protests on the streets. “Don’t make them into a tiger,” he told this reporter in Guwahati recently. Mamata Banerjee has said that those who are holding Aadhaar cards and passports have been eliminated from the final list, and Bengalis are being specifically targeted. She said she will send a high-powered team to Assam to investigate, provided they are allowed to enter. She said she will meet Rajnath Singh in Delhi to appraise him of her views on this controversial issue. Indeed, there are too many questions, black holes, and twilight zones stalking the NRC process and the so-called final list. So why are ministers in the state government and in Centre suddenly repeating in a cacophony that this is not the “final” list, that this is merely another “draft”; that no vindictive action will be taken, that peace will be restored, that fake news and rumours will not be tolerated. Who is spreading fake news and rumours? Why are they so defensive if they are ready to put para-military forces on the ground – even while there have been reports of mock drills earlier, unprecedented in Assam. And why is the NRC refusing to release the reasons behind each name deleted in the public domain? And if no one will be detained or deported, why are they building a ₹46 crore detention camp in Goalpara in lower Assam? What will happen to all those who are lodged in jails/detention camps? Nowhere in the world have such mass-scale profiling been done officially, except that of Jews in Germany by Adolf Hitler’s Nazi and fascist regime during and after the organized ethnic cleansing and holocaust. Now 40 lakh people in Assam are finding themselves trapped in a twilight zone. There is mass insecurity and trauma stalking the land. In a BJP-ruled sensitive and strategic border state, the NRC process has been marked with controversy. While the entire population agreed with the Assam accord whereby the midnight of March 24, 1971 was declared the cut-off date, there have been huge indiscretions and anomalies on the ground. Thousands of people did not get a written notice about the hearing in the foreigners’ tribunal, activists have alleged. Locals told this fact to this reporter in Goalpara and Barpeta districts. Most had no access to the NRC internet notice. Thousands could not access the seva kendras for information. Massive distances and huge costs blocked large sections of the poor, especially in the remote areas, to access the wheels of identification. People ran with their documents from pillar to post. To access lost or damaged documents have become a tedious task. To access the final authority of justice in the Guwahati High Court’s divisional bench, or, finally, the Supreme Court, is a virtual impossibility for poor and illiterate people. In Assam, the onus is on the people to prove their citizenship. Besides, Assam is ravaged by floods and erosion every year and this is a historical phenomena. Villages vanish, geographies change, houses and communities disappear, there is mass displacement and migration, documents are damaged or lost. This has created a peculiar problem for people directly affected. There are accusations that some officials, including in the foreigners’ tribunal and the Assam Border Police are biased, partisan and prejudiced, keen on finding faults with documents, and totally unhelpful and vindictive. Several people who have voted earlier, or who have been bonafide citizens in the past are facing the trauma of being branded as D-Voters. Women are especially finding themselves on difficult ground. Many of them don’t have birth certificates, school certificates, or even marriage certificates. They change villages and homes after their marriages. While the locals and elders testify them, including in the panchayat, as part of the community, officials refuse to often accept their identities. Unofficial estimates are that thousands of women are directly affected. In Goalpara district jail, for instance, D-Voters, numbering 195, have been clubbed with “foreign prisoners”. This is brazenly illegal and unconstitutional, argued lawyers of the Goalpara Bar Council. “How can they put D-Voters in the foreigners’ category and put them in jail when their documents are under scrutiny,” they told this reporter in Goalpara recently. There are several cases of injustice stalking the interiors of Assam, and that is why the mass phobia and social insecurity. An elderly mother is in jail, declared as D-Voter, but her adult sons are Indian citizens. A brother is in jail, but another brother is an Indian. A pregnant woman was put in jail, while her entire family are Indians. A clerk in a government college, with an official senior citizen certificate and getting a post-retirement pension, has been declared a D-Voter. The NRC is a gigantic, complex and difficult task. Cases of bureaucratic inefficiency on the ground, mixed partisan behavior and vindictive attitude of officials, can spell disaster for lakhs of people. Families will be destroyed, emotional trauma will stalk the interiors, communities will break up, there will be mass insecurity. Thousands will lose their fundamental rights, even if they are bonafide citizens. Indeed, even officials can make mistakes and human errors. In these circumstances, if the BJP chooses to polarize, as in other parts of the country, it will be playing with fire. If this is a ploy and gamble for the 2019 Lok Sabha elections, than Assam might be sitting on a tinder box. The nightmares of the Nellie Massacre of 1983 is still starkly remembered in Assam, even while there has been no justice for the victims. The Citizenship (Amendment) Bill, 2016, proposed and backed by the BJP, is adding fuel to the fire. As per this bill, illegal migrants, namely Hindus, Sikhs, Parsis and Christians from the neighbouring countries, can become Indian citizens even if they have arrived after 1971. Ironically, Muslims, or Shias and Ahemediyas from Pakistan, who are persecuted, are not included in this Bill. The Bill is being opposed by AASU and AGP, which has threatened to pull out of the state government if the BJP pushes the Bill. Indeed, AGP too is in a Catch-22 situation, knowing fully well that a polarizing communal agenda aggressively pushed by the BJP will eat into its own constituency and vote-bank, as the BJP did in Maharshtra with the Shiv Sena. Indeed, with 40 lakhs rejected from the NRC list, and rendered in a no man’s land, Assam might face a crisis unprecedented in history. A polarizing politics with a vicious, sinister and diabolical agenda, thereby, will only push the state to the brink. Amit Sengupta is a senior journalist.